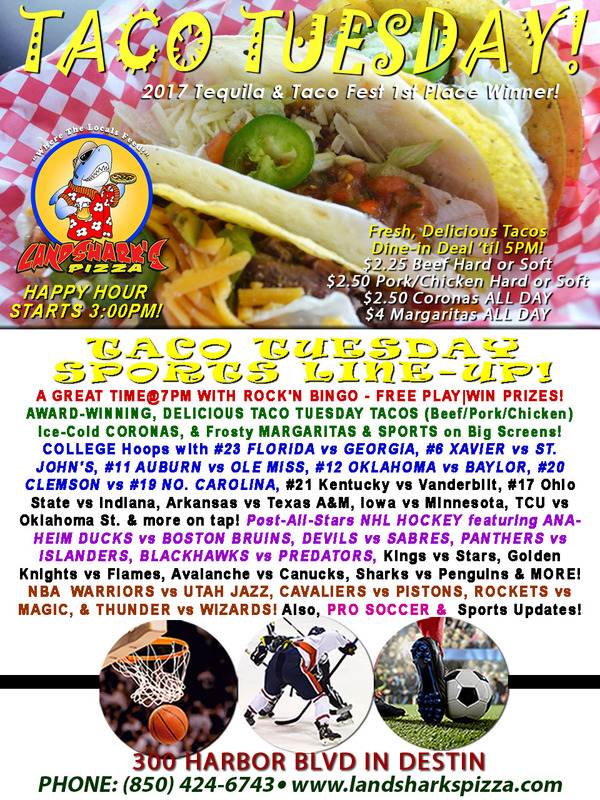 / Best Pizza In Destin Florida / Landshark’s DELIVERY Starts Saturday Feb 3rd SUPERBOWL WEEKEND – CALL PICK-UPS NOW! Landshark’s DELIVERY Starts Saturday Feb 3rd SUPERBOWL WEEKEND – CALL PICK-UPS NOW! CALL EARLY TO BEAT THE RUSH & AVOID ANY DELAYS!!! Landshark’s is gearing up for Superbowl Weekend to ensure you get to enjoy our Award-Winning Menu Items whether you want to cheer with the rest of us or just hang out at home in your jammies! CALL IN YOUR PICK-UP ORDERS EARLY TO COVER YOUR BASES – (850)424-6743! LANDSHARK’S DELIVERY SERVICE STARTS SATURDAY FEBRUARY 3RD! Landshark’s will be delivering SIX DAYS a week (no delivery on Taco Tuesdays) starting at 5:00PM running generally until 9:00-ish depending on the level of busy in the season. Delivery area is BRIDGE TO BRIDGE (between Destin Bridge and Mid-Bay Bridge/Destin Commons & Crystal Beach. For Delivery, call (850)424-6743. 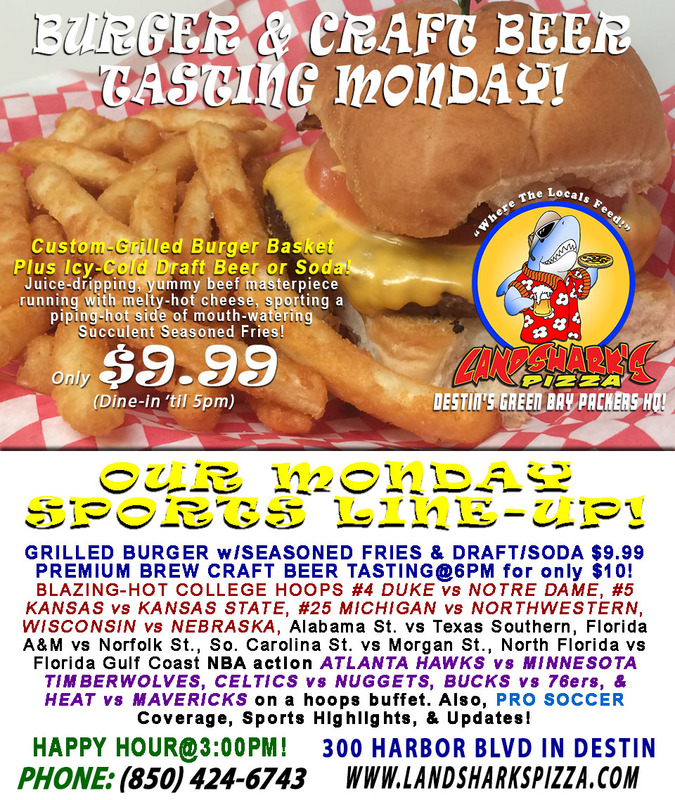 Previous Post: « Belly-Buster Burger & Brew Special with KANSAS, DUKE, MICHIGAN & More Hoops|Premium Craft BEER TASTING@6PM!